The measure passed the Senate Friday evening. 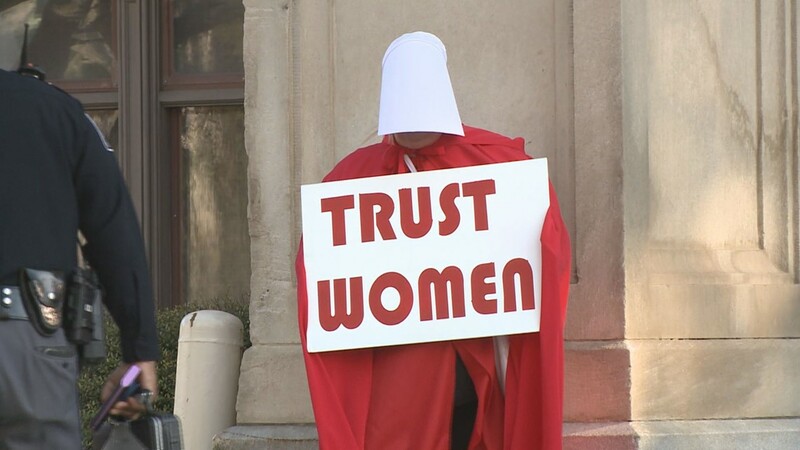 ATLANTA — Georgia’s Capitol building filled with activists holding signs and wearing distinctive red frocks based off “The Handmaid’s Tale” as the Senate prepared to vote on the so-called “heartbeat" abortion bill. The measure passed out of a Senate committee on Monday and passed a final committee Thursday. Friday evening, it passed through the Senate. 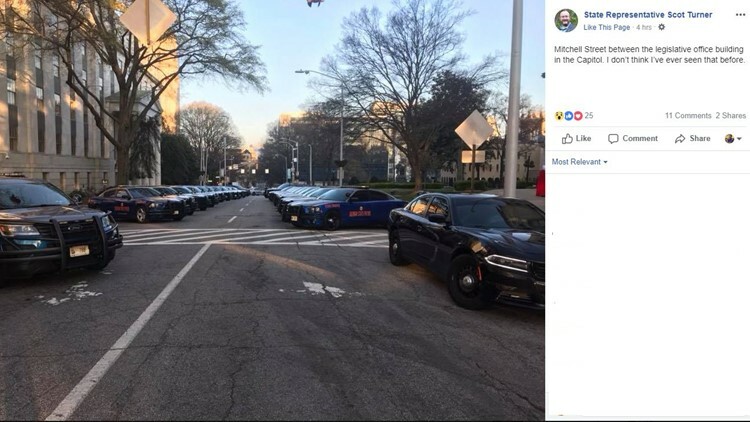 State Rep. Scot Turner (R-Holly Springs) posted a photo on Facebook showing streets outside the Capitol lined with police cars. Inside the Capitol gallery, people are standing watch as the day unfolds. Protesters are beginning to fill the Georgia Capitol building as the Senate prepares to vote on the controversial "heartbeat" bill, which would limit abortions to six weeks after conception. Georgia Republicans are joining others in several other states to enact tougher abortion regulations – even if they’re certain to be challenged in court – in hopes that the recent appointments to the U.S. Supreme Court will find them constitutional. Currently, women in Georgia have the legal right to seek abortions during the first 20 weeks of pregnancy. The “heartbeat bill” (HB 481 – Living Infants Fairness and Equality LIFE Act) – would reduce the window to six weeks after conception – the time a fetal heartbeat is present. One exception to the law would be if a pregnancy endangers a woman’s life. Doctors who perform the procedure after a heartbeat is detected could also be at risk of losing their medical license. Governor Brian Kemp has signaled that he would sign the measure if it reaches his desk – something many political watchers say could set up Georgia as the battleground state of Roe v. Wade.